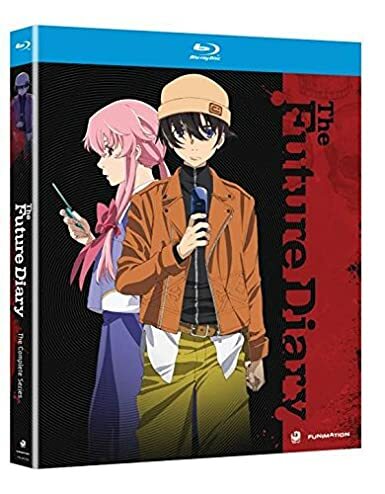 After several delays and an upgrade to Blu-ray the first instalment to Mirai Nikki: Future Diary, otherwise known as The Future Diary, has finally arrived in the UK; but was it worth the wait? and more importantly how does this latest KAZE release fair? Find out in our DVD Review. Reality quickly unravels for antisocial Yukiteru when Deus Ex Machina calls him into a death match to determine the new god of space and time. Each mentally scarred player possesses a prophetic device tuned to his or her personality disorder, giving them control over their future… and the fate of their opponents. It’s their strongest weapon – and their greatest weakness. Plot: Reality quickly unravels for antisocial Yukiteru when Deus Ex Machina calls him into a death match to determine the new god of space and time. Each mentally scarred player possesses a prophetic device tuned to his or her personality disorder, giving them control over their future… and the fate of their opponents. It’s their strongest weapon – and their greatest weakness. Within hours of abusing his digital diary’s predictions, Yukiteru is cornered by a crazed classmate. 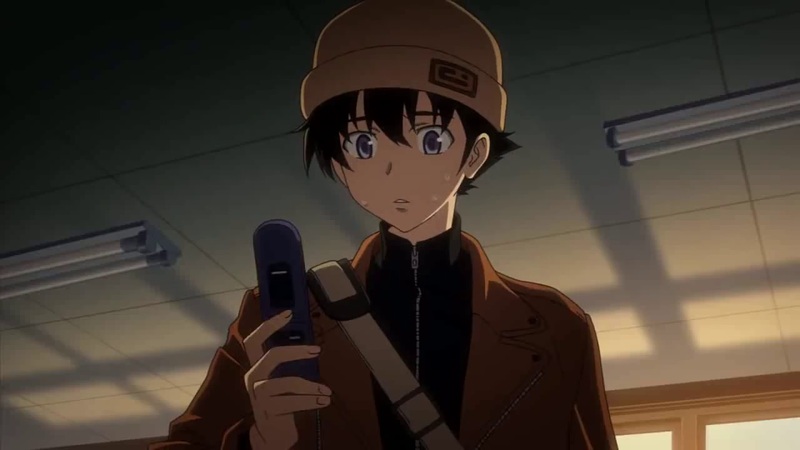 Yuno – who is obsessively stalking him with her own psychic cell phone – is cute, sharp, and great with an ax. Still, her psychosis hides a vile secret. As a serial killer, a cult priestess, and a volatile escape artist take a stab at eliminating the teens, Yuki can cheat death under Yuno’s maniacal protection or – DEAD END. Kaze will be releasing this on Blu-ray as Mirai Nikki: Furture Diary in two half-season sets; with the first part due later this year. 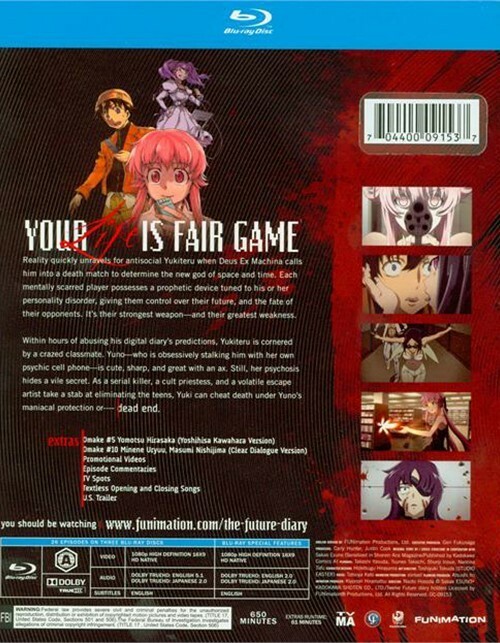 In a recent interview with Jcuri Andrew Hewson, the Marketing Manager for Animatsu Entertainment, revealed that The Future Diary, also known as Mirai Nikki: Future Diary, will be released into the UK via Kaze later this year.